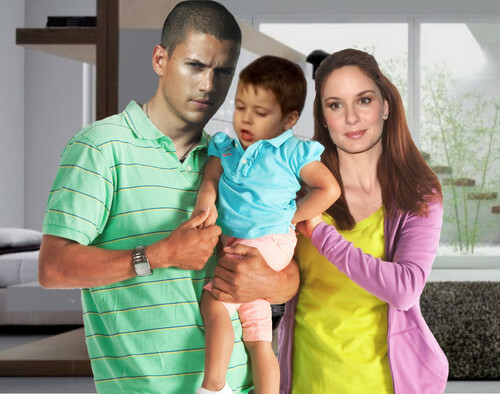 Prison Break - Michael, Sara, MJ. . HD Wallpaper and background images in the TV Couples club tagged: prison break misa michael scofield sara mj wentworth miller sarah wayne callies. This TV Couples photo might contain playsuit, پلایساٹ, تفریح ​​یہودیی, تفریح پہن, پہناوا, overclothes, آؤٹر, and اوورکلوتھیس.